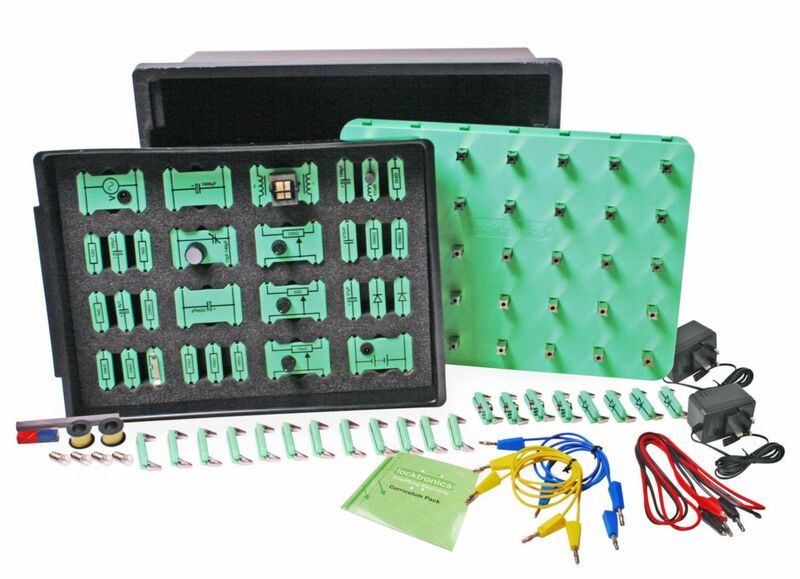 This kit, with its accompanying 70 page workbook, is intended to reinforce the learning that takes place in the classroom or lecture room for intermediate level courses such as the BTEC National (QCF Level 3) unit in Electrical and Electronic Principles (J/600/0255). The 70 page workbook provides a series of practical activities and investigations that are designed to complement the BTEC syllabus and a comprehensive set of teacher's notes is included. The solution includes component carriers, base board, power supply, and storage trays.